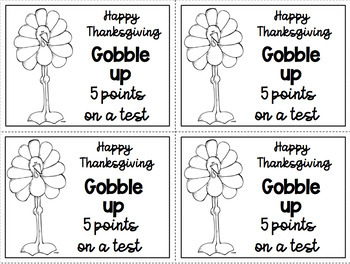 Here is a quick Thanksgiving FREEBIE for you to use with your students. 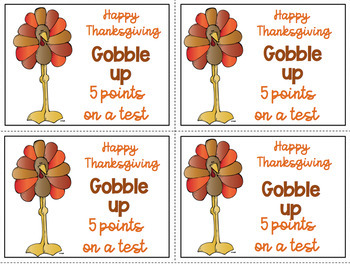 Give each student a Free 5 points on a test slip as a gift for Thanksgiving. It is a gift that will cost you nothing but will mean so much to them! 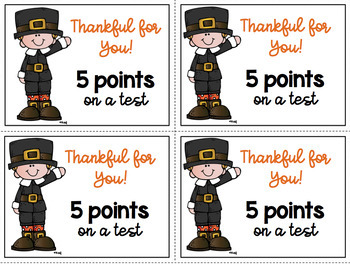 There are three designs: turkey, boy pilgrim and girl pilgrim. 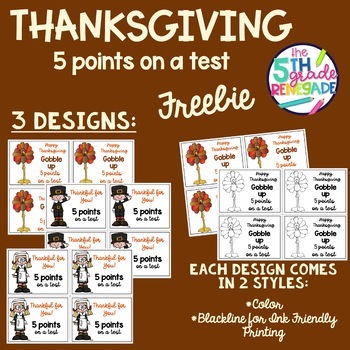 Each design is available in color and in Black and White for easy printing.